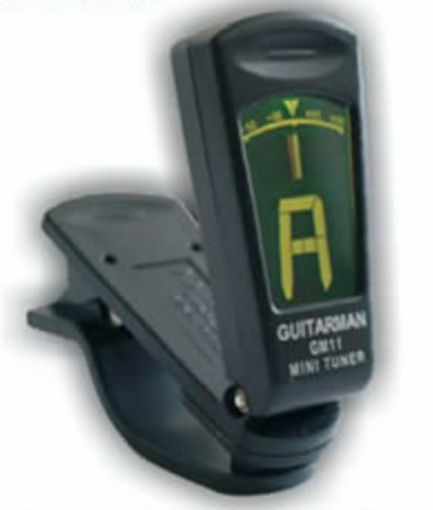 Location: /Accessories/Guitar/Various/CLIP ON GUITAR TUNER. Tolerences: + - 1 cent. Tuning Range: 0A - 8C. Dimensions: 65 (L) X 29 (W) X 36 (H)mm.